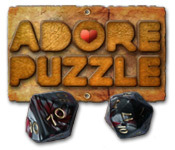 Adore Puzzle is rated 2.4 out of 5 by 12. Rated 4 out of 5 by grammabeauone from Fun Game Good game for when it's almost time to go to bed, you're not quite tired enough and just want a quiet, relaxing game to lull you into drowsiness. 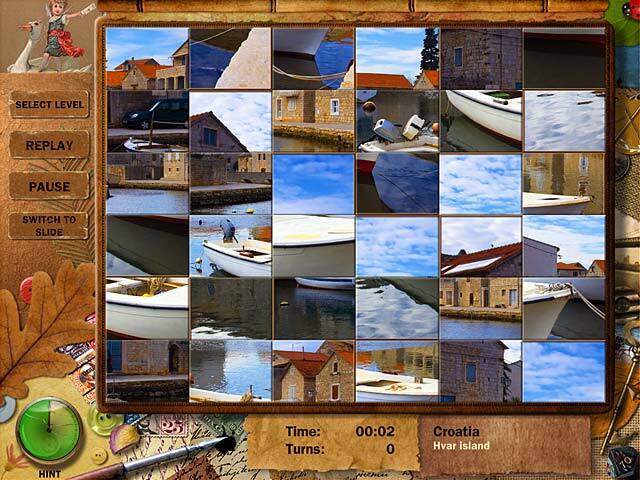 Rated 4 out of 5 by meme2222 from great to past the time I really liked this puzzle layout. Pretty and simple. Smooth graphics, twinkle when correct piece inserted. I liked the swap vs. slide puzzle option. Beautiful pictures. I don't listen to sound so can't comment. Everything needed for a relaxing pastime. Problem for me is there was no game involved. Wish they had option forced timer or star ratings for how fast or how many swaps you took to finish the puzzle then I would of enjoyed to keep trying to play puzzle over and over again. even though they did keep track of both time and moves for your own initiative. 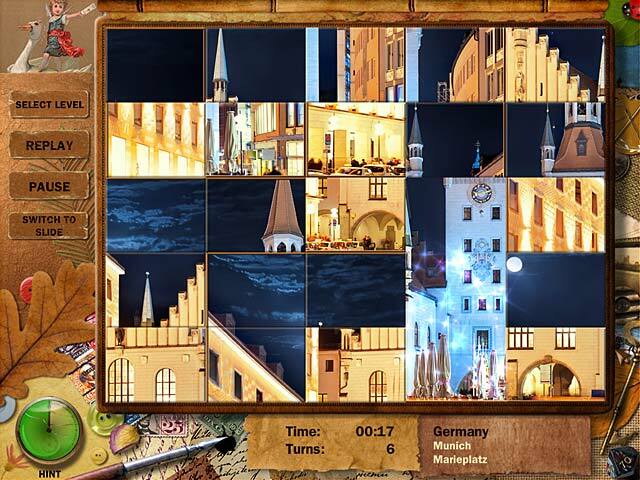 Adding bells and whistles to this puzzle would of made up for the lack of levels which I am sure weren't many, only played hour freeplay but only seen one puzzle for each European country. I probably would finish in a day or two to do swap then slide. Then what else is there, no incentive to do again unless you are the type of person that says yeah, i'm gonna beat my own time...for me you get no reward so why bother. If they had a large amount of puzzles or at least option to download your own then I would be more satisfied in spending on this because I like replay value or something I will play more than just 2 sittings. I give it 4 stars for those who don't mind throwing a few bucks to the wind. It's worth playing especially if you like slide and swap type because there aren't many out there only jigsaw. Rated 4 out of 5 by Betseybetsey from Adore Puzzle Challenges Your Brain There are many good cognitive challenges out there but this one allows you to travel the world and challenge your brain just as one does when one is actually traveling. It's like a breath of fresh air and guaranteed to lift your spirits! Rated 3 out of 5 by marnie320 from Boring !!! I found the puzzles good to look at but after a few games the play becomes very boring. You start off with 12 pieces per puzzle and can move up from there. You have the option to slide the pieces into place or flip them, and thats it. Granted you move around the globe but when you get there its the same old puzzle.Not sure any real skills are needed. Sorry but this is a no no from me. Rated 2 out of 5 by Danisem from Why the crazy greyscale puzzles? The puzzles that actually had the picture were fun. But when they turned greyscale and the solved puzzle was just greyscale pieces all over with no actual real image of the picture it was terrible and most of them are like that! It was just stupid. Rated 2 out of 5 by wdwrn312 from Boring Played for about the first 10 puzzles and became bored very quickly. Rated 2 out of 5 by shorenuf from Please read this before you leave for Europe… Take a virtual tour of Europe's interesting places. Not exactly jigsaw puzzles -- rather pictures divided in a grid of scrambled boxes. Put the pictures back together by swapping the boxes using just visual reference, or as slider puzzles where the boxes are also numbered for reference. You can challenge yourself to complete the puzzles in the shortest number of moves and the least amount of time. It is widescreen. The puzzle pictures are fairly attractive. The first country has s a 4 x 4 puzzle grid and a 3x3 slider grid, easy but be prepared! The grid divisions get increasingly larger as you progress. Seriously -- does anyone want to do this exercise over and over and over again as those boxes get more numerous and smaller and smaller and smaller? At the very best it could be a go to game to do a few countries at a time. 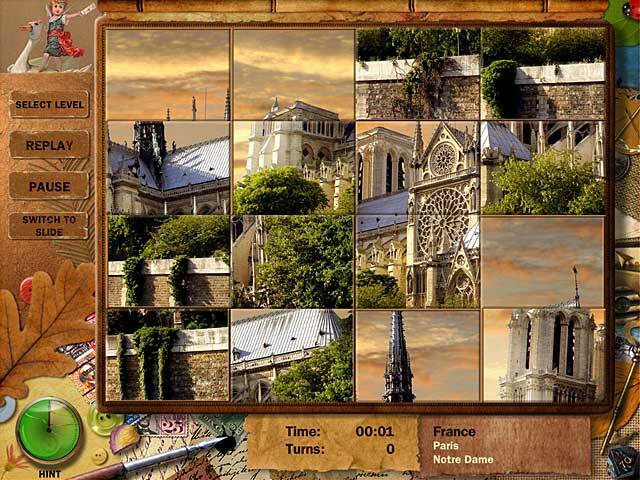 You can take a culinary tour in Adore Puzzle 2 -- Brussels sprouts as opposed to the Brugge Canal, for example. The presentation is uninspired in both games; the game play is exactly the same. There is no accompanying text describing the 40 odd countries or their cuisine. The background is never changing and unattractive. So, you read this and tried the game anyway? You liked this kind of gridded puzzle challenge? Well so do I! Please, check out another challenging game -- Patricia's Quest for Sun. It is beautifully hand drawn, the completed puzzles are stunning, and it has a curious story to follow. Rated 2 out of 5 by Rebr2009 from Don't waste your time. I played for half an hour, and despite the beautiful pictures of countries, I only got to puzzles with 42 pieces - starts with 12 !!! And you have to play to go ahead !! The worst is that all of them are already in the right position, you just have to change places. Is not possible to change shape, size, style and quantity of pieces, like in Jigsaw Galore. For those who want a very good jigsaw, the GALORE is infinitely better. Rated 1 out of 5 by lindafnld from boring Four minutes was long enough to get bored to death. Can't imagine anyone enjoying this let alone find it a workout for the brain.